Ahead of Manchester United and Paris Saint-Germain's first leg encounter in the Champions League, all the talk had been about PSG's missing stars, Edinson Cavani, Neymar Jr and Thomas Meunier. However, in the midst of this, most people forgot about a certain Ángel Di María. The Argentine had endured tumultuous times as a United player after signing for them in 2014 and understandably came back to prove a point to the Old Trafford faithful. But what is bemusing is that certain sections of United fans chose to jeer their former star. Di Maria joined the Red Devils at a very difficult stage following the retirement of Sir Alex Ferguson and the sacking of David Moyes. Though Louis Van Gaal signed Di Maria in the hope that he would help United return to their former glory, his system and tactics did not get the best out of the player. If anything, it restricted the former Real Madrid man. And so, it really was not a surprise when Di Maria chose to leave United at the first available opportunity and moved to PSG. During his time in France, the Argentine has certainly rediscovered his former self and made headlines for all the right reasons, thereby winning a place in the hearts and minds of the PSG faithful. Over the course of his career, Di Maria has been the unsung hero for most of the teams he has played for with his performances being swept under the radar by bigger names. For instance, though he played a pivotal role in helping Real Madrid land their coveted tenth Champions League title, he was not given his fair share of credit. To make things worse, Madrid decided to sell him soon after and replace him with Gareth Bale. Before the game against United, Di Maria did not necessarily have a point to prove to the United fans, but when certain sections of the fans decided to pick on him it wound him up. And to be fair to the man, this kind of unnecessary stick is certain to get under the skin of any player, let alone one of the best players of the modern era. 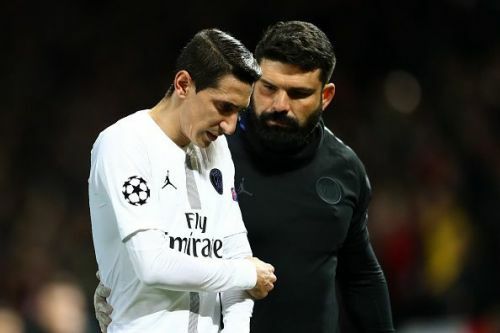 Even if Di Maria did not have a point to prove before the game, the kind of stick that the Old Trafford faithful gave him presented him with one. And with the sleeping giant now awakened, Di Maria walked on to the pitch at the beginning of the second half on a mission to silence the home crowd. Though PSG had been the better of the two sides in the first half, the difference was not all that evident, especially since United's defence and goalkeeper had managed to keep the PSG frontline in check. 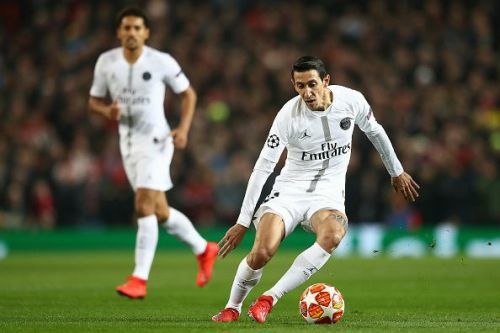 But as the second half began, Di Maria made sure that PSG had something tangible to show for their efforts as he delivered an inch-perfect cross for Presnel Kimpembe to give the Parisians an invaluable away goal. And less than ten minutes later, the Argentine was at it again as he set up Kylian Mbappé to double the French club's advantage. Later, he also decided to give the home fans a piece of his mind while his teammates celebrated wildly. United's defeat at the hands of PSG in the first leg has left them with a few valuable lessons. For starters, PSG's current level is where United should actually be and the defeat is a testament to the fact that, though United have certainly changed for the better under the stewardship of Ole Gunnar Solskjær, there is still a long way to go. Further, as far as Di Maria is concerned, it must be said that certain sections of the United fans must learn to respect a great player. Though Di Maria endured a torrid time at United, it does not take away from any of his achievements on the football pitch. Moreover, the Argentine seems to be the kind of player who thrives on hatred and this was certainly the case during the first leg. While he may be okay with being swept under the radar, he certainly will not accept undue criticism. As the old saying goes, even the nicest people have their limits and United fans learnt the hard way that this is true even for a man named 'Angel'. For, every Angel will fall, but when he rises again, he will ensure that the devil has his tail between his legs.